Age of Heroes cast L-R John Dagleish as Rollright, Danny Dyer as Rains, William Houston as Mac, Guy Burnet as Riley, Sean Bean as Jones, Askel Hennie as Steinar © Age of Heroes Ltd.
Age of Heroes Sean Bean as Jones © Age of Heroes Ltd.
Age of Heroes is a film based on the real-life events of Ian Fleming’s 30 Commando during the Second World War; a team that was one of the most secretive and exclusive Special Forces regiments and created the mould for the modern day SAS. 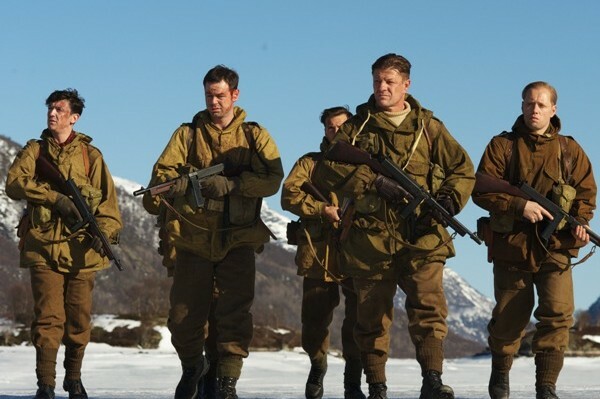 The film captures the mentally and physically gruelling training endured by the men before they are assigned to a highly dangerous mission behind enemy lines in occupied Norway. The mission doesn’t go to plan and they find themselves in a deadly situation, outnumbered by enemy soldiers. It’s then that they rise above being normal soldiers and become heroes. Adrian Vitoria (The Crew Hollyoaks: Crossing the Line) directs as well as co-wrote the screenplay alongside Ed Scates. Sean Bean (The Lord of the Rings, The Martian), Danny Dyer (Doghouse, Eastenders), Aksel Hennie (Headhunters, Hercules) and James D’Arcy (Master and Commander, Cloud Atlas) star. 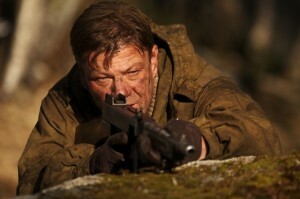 In 2010 film crews arrived in Kent to shoot the action packed thriller – local village Pluckley, famous as the setting for the popular TV programme The Darling Buds of May, were used in several driving shots with actor Sean Bean. 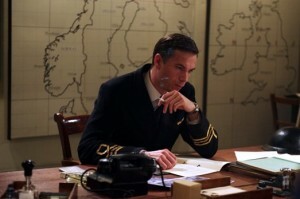 James D’Arcy as Ian Fleming © Age of Heroes Ltd. The Gravesend Civil Defence Bunker, built in 1954 as an underground command post to be used in the event of nuclear attack during the Cold War, features in the film. It was used to represent the Cabinet War Rooms in London’s Whitehall. Nearby Cobham Hall, currently a boarding school for girls is a firm favourite for filming in the district of Gravesham. The site was the perfect location to feature as a boarding school in the 2008 film Wild Child (2008). Another Ministry of Defence location, the Connaught Barracks were also used for filming as a WWII training base. Situated in the district of Dover, the Connaught Barracks are not the only location to have been used for filming in recent years. The historic Dover Castle is a Kent film location favourite as it has been the star location in a number of productions from Lady Jane (1987) to The Other Boleyn Girl (2008). Age of Heroes was released in 2011 and is now available on DVD. This entry was posted in Filmed in Kent and tagged Age of Heroes film locations, Connaught Barracks, Danny Dyer, Dover, feature film, Gravesend Civil Defence Bunker, Pluckley, Sean Bean. Bookmark the permalink.